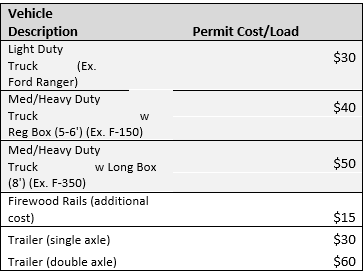 The following table displays the cost of a firewood permit. Visitor Centers and Fund Raiser Groups use the same cost structure. You must carry your valid permit with you at all times. 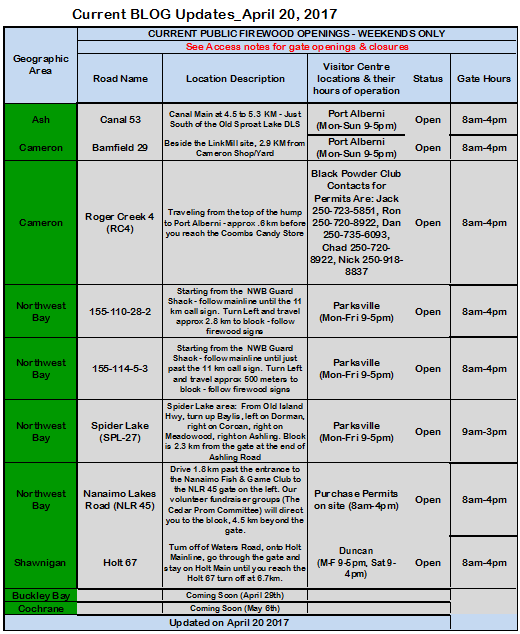 Check the "Access" section of this blog for gate time openings and closings. 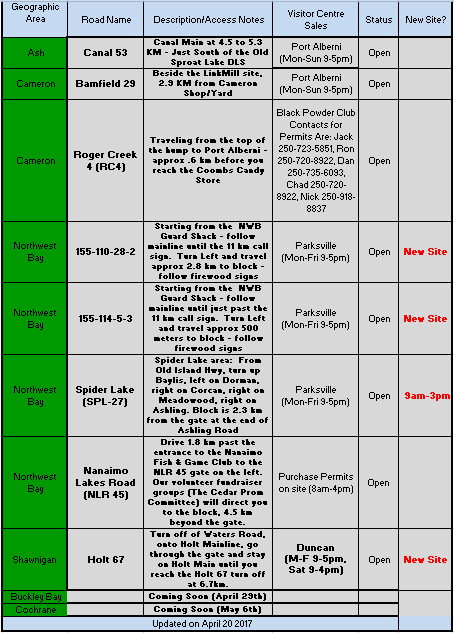 Unless otherwise noted, Public and Fund Raiser Firewood opportunities are for weekends only. Firewood is for personal use only and not to be sold. 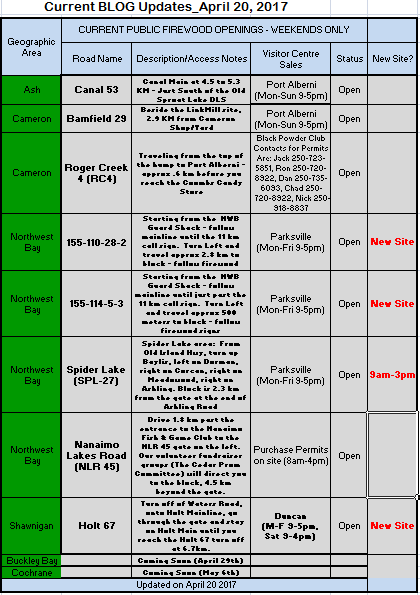 ***Notice - There have been incidents where people have been cutting firewood in non-authorized areas. These areas may be allocated for our Commercial Firewood Cutters and the Public is not permitted to cut firewood in these areas. Please be respectful to our Commercial Firewood cutters and only cut firewood in the areas outlined below. There will be random checks for Permits and Safety Equipment. If you do not have a permit or adequate safety Equipment your firewood may be confiscated, and you will be asked to leave the property. 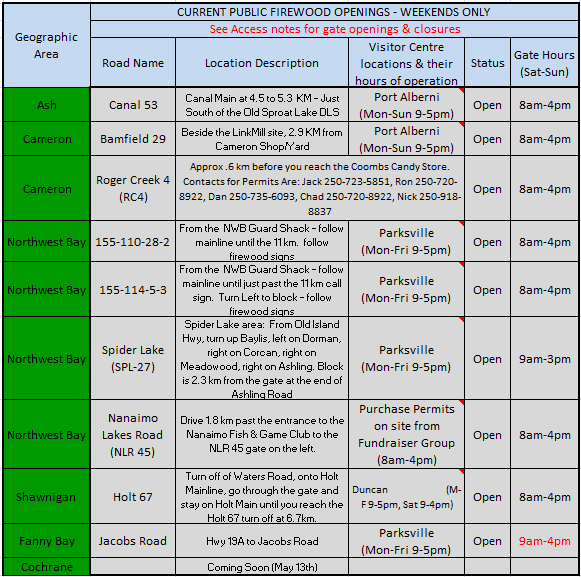 Is the gate at Glenora (Shawnigan) open this weekend for public access?